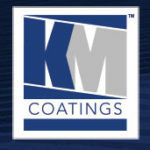 KM Coatings is a leading manufacturer of commercial grade roof coating systems. For over 30 years, KM Coatings has been offering roofing professionals an extensive array of liquid-applied acrylic and silicone coatings. Our sustainable and long-term roofing system solutions are in service on millions of square feet of commercial and industrial roofs. Read more about our partners' success stories using KM products!